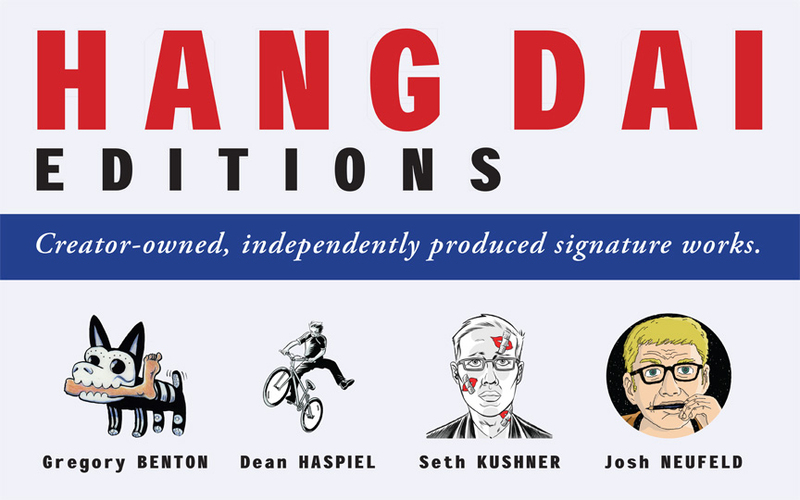 Past and present members from Hang Dai Studios are special guests this coming weekend at Baltimore Comic-con 2015, featuring new graphic novel releases of Gregory Benton’s SMOKE, Dean Haspiel’s BEEF WITH TOMATO, and the late Seth Kushner’s SCHMUCK. The Hang Dai table (2404-2504) will also be hosting Christa (Ghetto Klown) Cassano, Swifty (Plunder) Lang, Vito (Stray) Delsante, and Chris (Thomas Alsop) Miskiewicz. We will be selling sets of the Graphic NYC Seth Kushner Trading Cards, including various prints, comix, the HDE All-Star cards, and we are available for commissions. Gregory, Christa, and Dean (along with painter Jen Ferguson) contributed original pin-up art for the annual Baltimore Comic-con Yearbook. 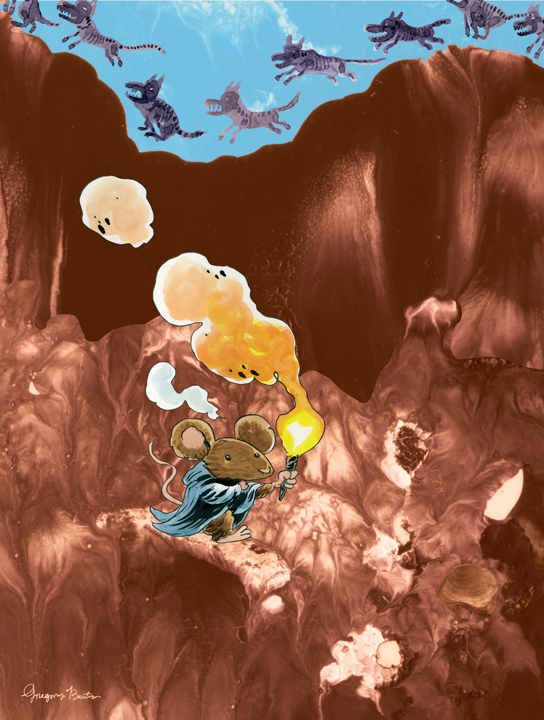 This year, BCC is celebrating David Peterson’s MOUSE GUARD (see pin-ups below). 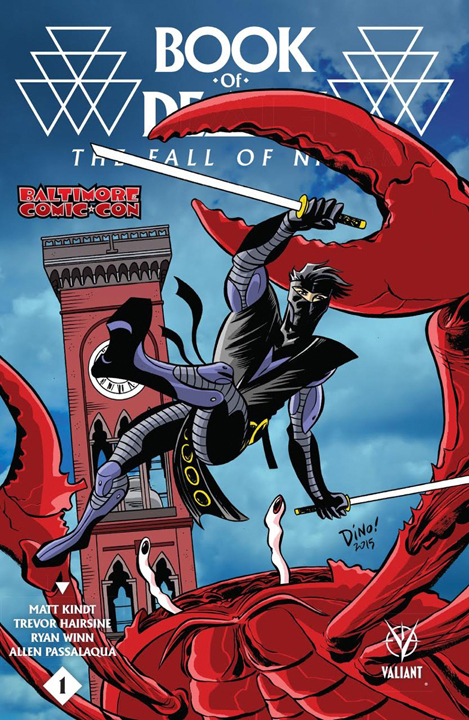 Dean also illustrated the cover to BOOK OF DEATH: THE FALL OF NINJAK #1 Baltimore Comic-Con exclusive variant, and will be signing copies at the Valiant table on Friday, from 3:45pm – 4:45pm. Dean will be presenting at the annual Harvey Awards, too. Mark Waid is the Guest of Honor at Baltimore Comic-Con this year and we’re celebrating! Join Waid and his friends and colleagues, including Barry Kitson, JG Jones, Christy Blanch, Dean Haspiel, Todd Dezago, and moderator Bob Greenberger for a fun-filled look at Mark and his work! Brooklyn, New York’s premiere comix studio, Hang Dai, houses a unique posse of cutting edge cartoonists which include Gregory Benton (B+F), Dean Haspiel (Billy Dogma, The Fox), the late Seth Kushner (Schmuck), Christa Cassano (Ghetto Klown), Swifty Lang (Plunder), Vito Delsante (Stray), and Chris Miskiewicz (Thomas Alsop). Moderated by Bleeding Cool’s Hannah Means-Shannon, the studio will read from their Hang Dai Editions imprint debuts: SMOKE, BEEF WITH TOMATO, and SCHMUCK, and discuss their studio origins, where they are now, and where they’re going next. 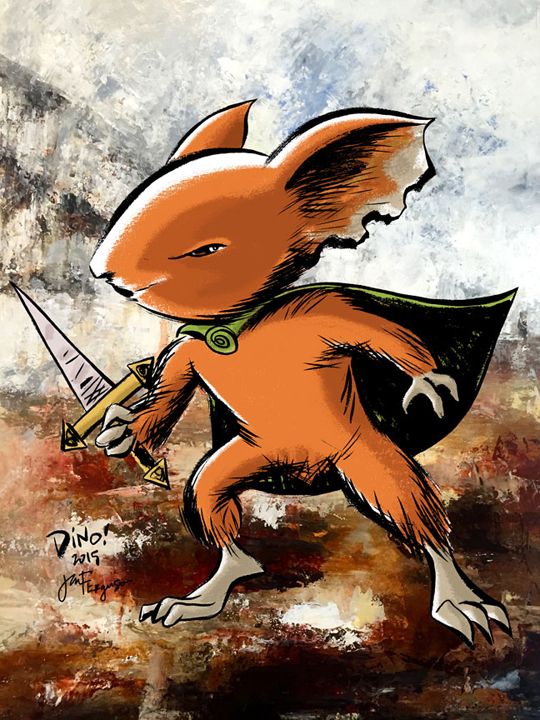 This entry was posted in Uncategorized and tagged Chris Miskiewicz, Christa Cassano, David Peterson, Dean Haspiel, Gregory Benton, Hannah Means-Shannon, Harvey Awards, Jen Ferguson, Mark Waid, Mouse Guard, Ninjak, Seth Kushner, Swifty Lang, Valiant Comics, Vito Delsante. Bookmark the permalink.